None of these questions has a clear answer. The only answer that stuck was that Breakthrough Breast Cancer is a woman’s world. They do things differently there. 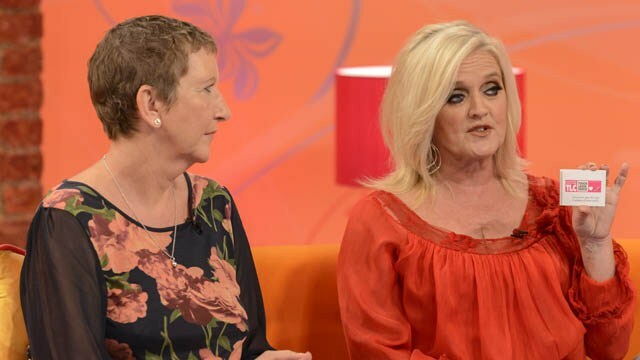 Bernie Nolan, the singer in the Nolan Sisters who has died of breast cancer aged 52, was a big part of that world. After she was diagnosed with the disease in 2010 she became a powerful advocate for the cause. But then, over the course of Breast Cancer Awareness Month through October 2010 I saw her impact. How she went on Daybreak to hammer home the message about the need for women to be breast aware. Her audacity in plugging the work of our charity live on TV, even to the highly ‘proactive’ Breakthrough PR team, was a revelation. She knew what the rules of live TV were, and blithely ignored them. Because she was a Nolan. Or something. Then, in 2011, she told ITV that she would be visiting the Breakthrough Research Centre on the Fulham Road, and they would film her. As research was my beat, it was my duty to accompany her. I was somewhat apprehensive, wondering what small talk we would have in the inevitable lag periods between filming. I needn’t have worried. When I greeted her at the research centre she immediately put me at ease and showed a lack of ego and charm rarely present in famous people. However, there were still troubles ahead. She was due to interview Professor Jorge Reis-Filho, a frighteningly intelligent pathologist with a love for media-friendly phrases such as ‘molecular subtypes’, ‘tumour stratification’, and many more. I, not unreasonably, thought that the contrasting worlds of daytime telly and a pathologist’s laboratory might be insurmountable. They went in for their filmed conversation and I waited outside. And waited. And waited. They must have been talking for the better part of an hour when Bernie finally emerged from the lab. Not wanting to sound anxious, I asked her if the interview had gone well. I didn’t know exactly what she meant by that, and wasn’t going to pry. But I did know that Jorge, for all of his geeky verbosity, had a complete inability not to speak his mind. As did Bernie. And so, while they were talking two different languages they connected as one honest person speaking to another. He the scientist; she the patient. Gossiping over the garden fence, about cancer. She then interviewed a woman living with secondary breast cancer, the incurable version of the disease. As a person who prefers to live only within a world of cynicism and irony, I found Bernie’s empathy during that interview to be mind-blowing. Throughout the day, I found out a lot about Bernie. How she liked a drink. How proud she was of her daughter (very proud, if you were wondering). How she would do anything, use every ounce of her celebrity, to help our charity. It was that openness, that warmth, that irrepressible energy, which made her so likeable. The truth is, Bernie wasn’t the most extraordinary person I have ever met. I have met many women who had great personalities, and the same determination to raise money and awareness for Breakthrough Breast Cancer as Bernie did. However, she was the only one who could ring up Lorraine Kelly and invite herself on her show. She knew that those other women would do that if they could. So she did. When I meet up with my former colleagues tomorrow evening, I’ll be back in Breakthrough mode. Chatting about cake, Heat magazine, and Bernie. And quite possibly I will be in the mood for dancing. To Prince, Funkadelic, Nelly, Madonna, Michael Jackson… and, if I’m up to the eyeballs with tequila, even the Nolan Sisters.